It can be extremely frustrating when the door to your garage is not working properly. No matter if it is an issue with the opener or the mechanisms, you will likely need professional garage door repair in Hedwig Village to resolve the issue. Our team at Action Garage Door has been assisting residential and commercial customers for decades, providing affordable and efficient solutions to give people a properly working door and peace of mind. As a garage door repair company that is committed to customer satisfaction, nobody beats Action Garage Door. Our family-owned business has been satisfying customers for 30 years and we are waiting to help you find the services you need for your garage door in Hedwig Village. We install doors built to withstand tough weather conditions and perform all our work in compliance with local codes. You can count on us to make timely repairs when you need them the most. A broken garage door is more than just an eyesore; it can also pose a security threat to your home or business. Thieves may see loose or damaged garage door panels as an easy way into your space, which will leave you calling the Hedwig Village police. Additionally, a garage door is an important part of your space’s insulation. When working well, it protects your building from weather factors such as hot and cold temperatures or heavy storms. A damaged door leaves your space susceptible to these elements. Fortunately, our team offers emergency garage repair services and quality garage door repair to mitigate the risk of these issues. We even offer new door installation in situations in which a repair is not the most efficient option. 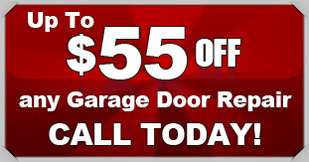 No matter if you have a problem with your door opener or a loose panel, Action Garage Door can help. To schedule an appointment today or to learn more about our garage door repair services, please call us or contact us online.